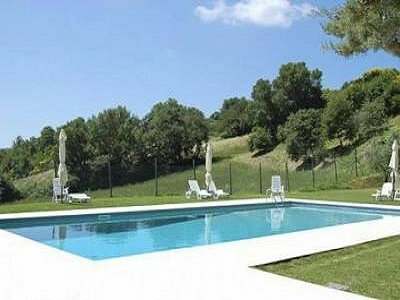 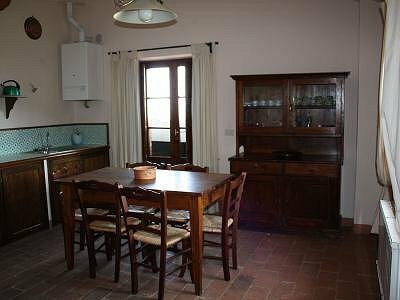 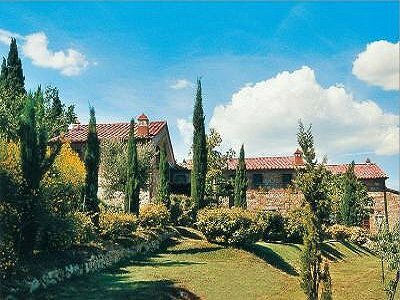 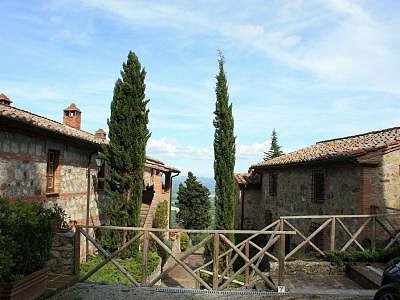 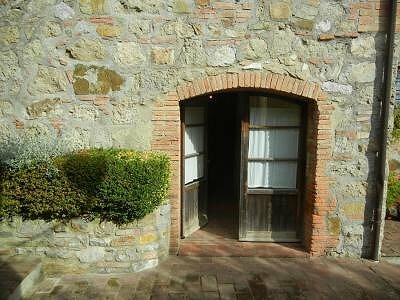 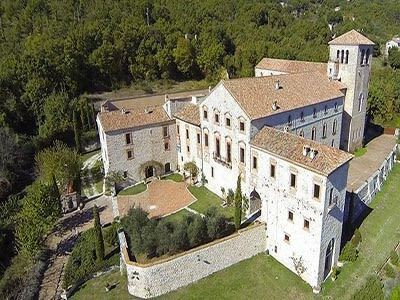 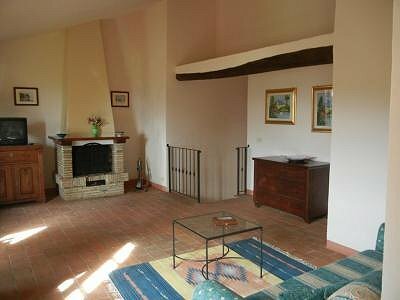 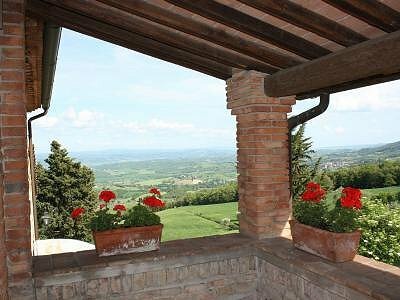 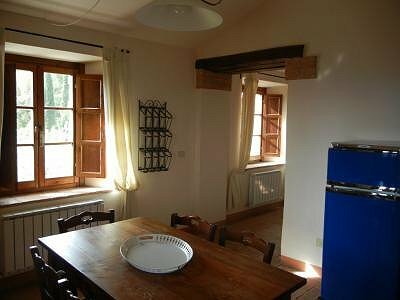 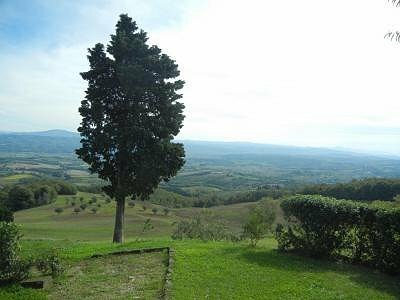 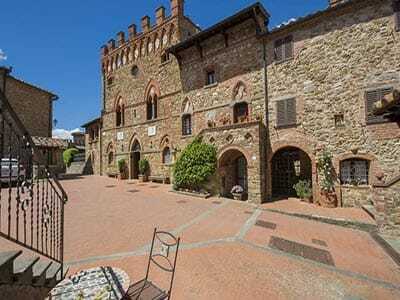 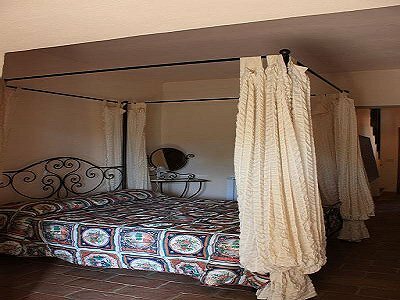 2 bedroom apartment located close to the lovely town of Cetona, within a luxurious complex made up of 2 restored farmhouses, completely surrounded by a park which looks onto the Sienese valley. 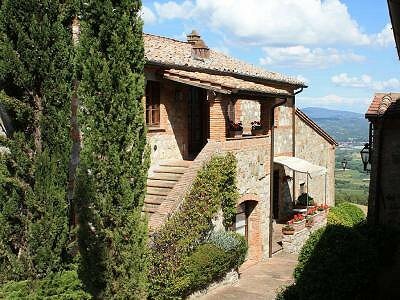 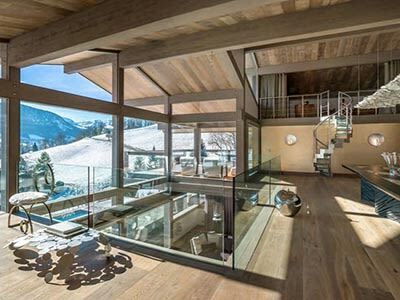 Accessed via an external staircase, this splendid apartment comprises of: loggia, spacious living room with fireplace, fitted and equipped kitchen, bth have very high ceilings with wooden beams and are very bright. 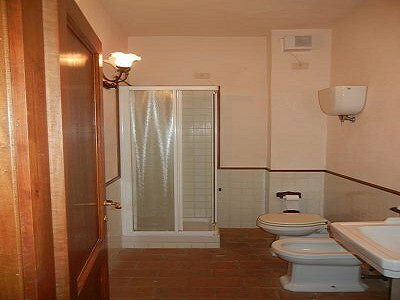 From the living room there is access downstairs to 2 large bedrooms and 2 bathrooms. 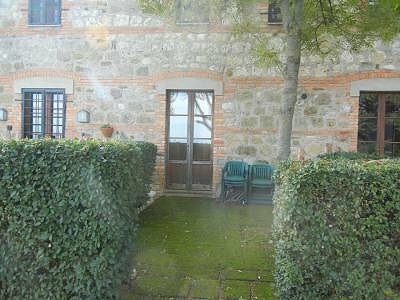 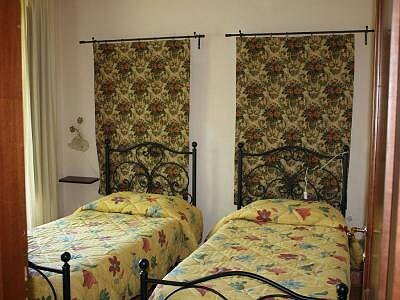 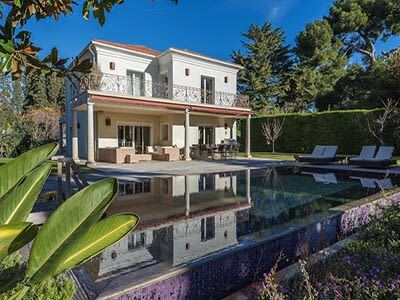 There is also a pretty little private garden which is accessed via one of the bedrooms.